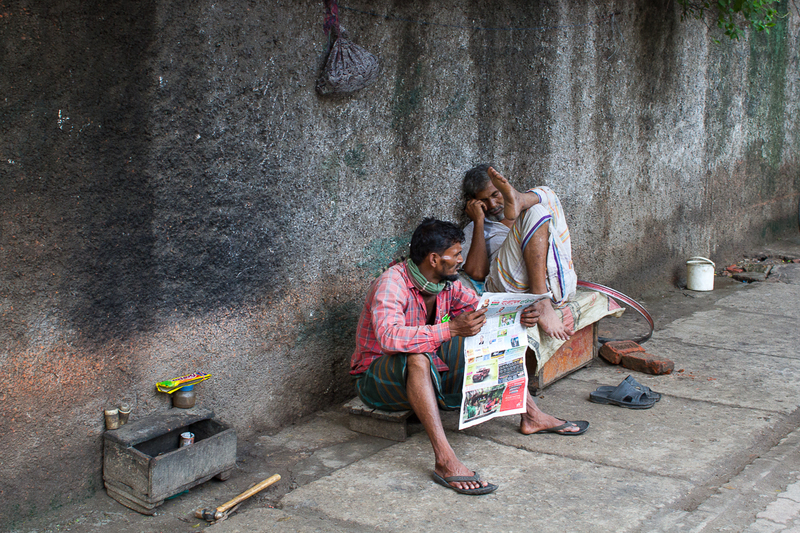 This was one of my photos that was exhibited at Kalpana Boarding for the TTL-BIF7 Photo Exhibition. 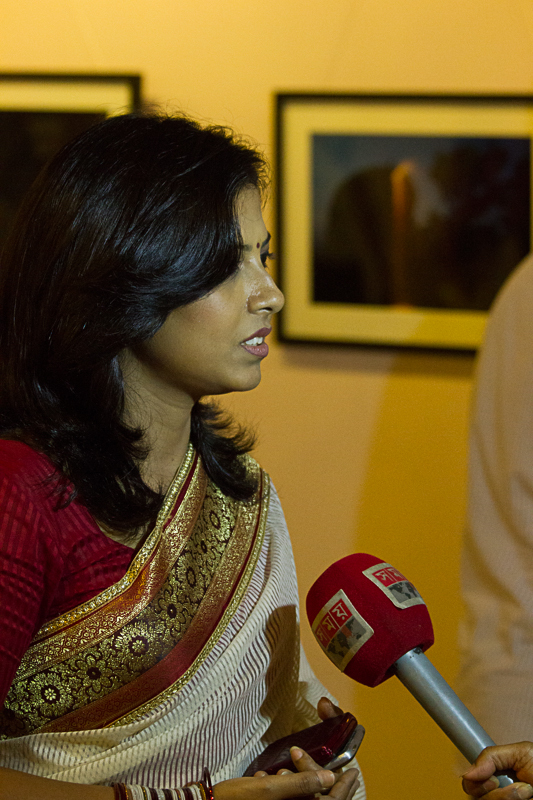 The exhibition had two venues this year, including Drik Gallery in Dhanmondi. I actually took this photo while riding a Rickshaw on Asad Avenue in Mohammadpur, Dhaka, Bangladesh. I have had tea with the gentleman on the left, and he has even given me free rickshaw rides. 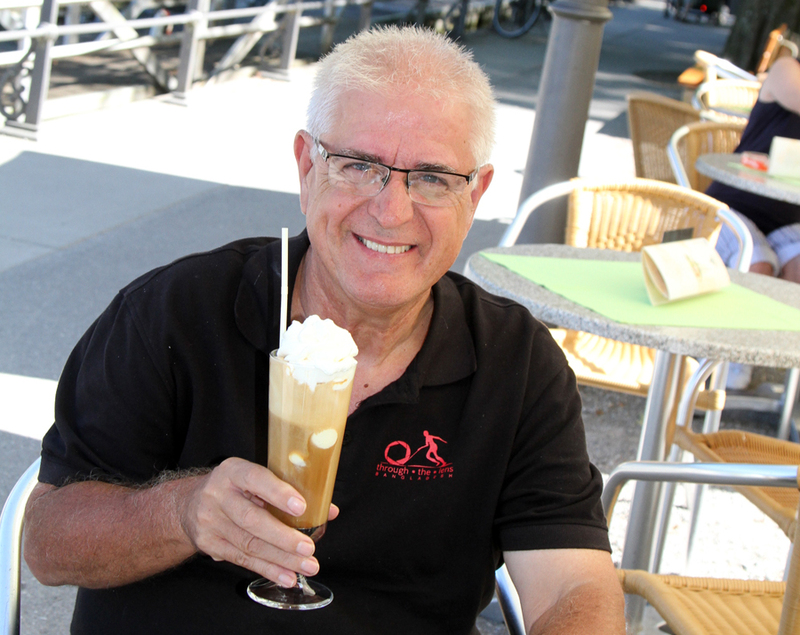 A TTLer enjoying one hour in Austria! 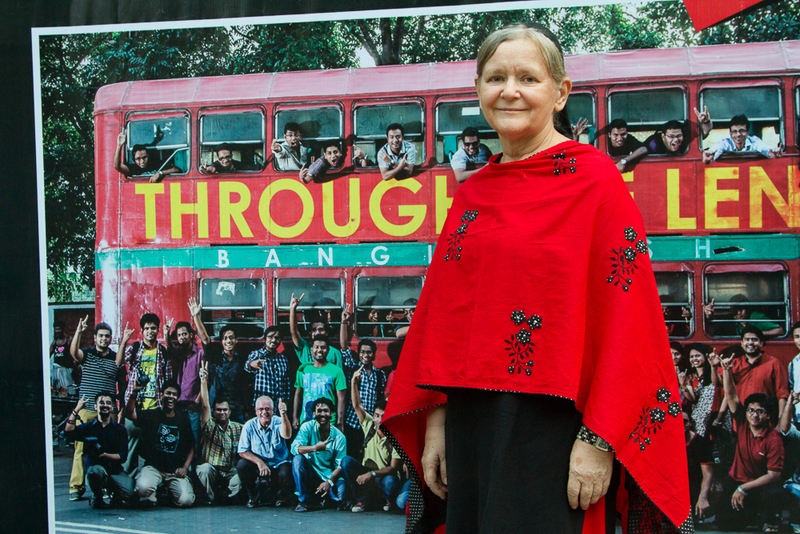 TTL (Bangladesh Through The Lens) is a photo club I am a part of. I do miss you guys. I am enjoying the cold drink. Standing out in the crowd! Can you find her husband (myself) on the poster? 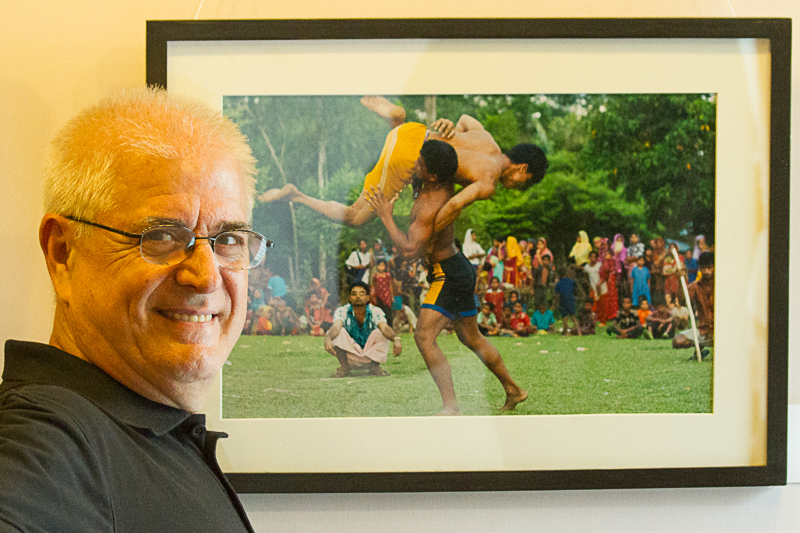 It was a great moment for me when I heard that one of my photos was accepted for TTL’s BIF5(Bangladesh in Frames5) photo exhibition at Drik Gallery in Dhanmondi, Dhaka, Bangladesh. Here are some photos of the opening day of this event. PRETTY AND KAMAL, SOMEWHAT NEWLYWEDS pose for this shot, though Kamal looks distracted! KAMAL AND PRETTY, MY TTL PHOTOGRAPHER FRIENDS! 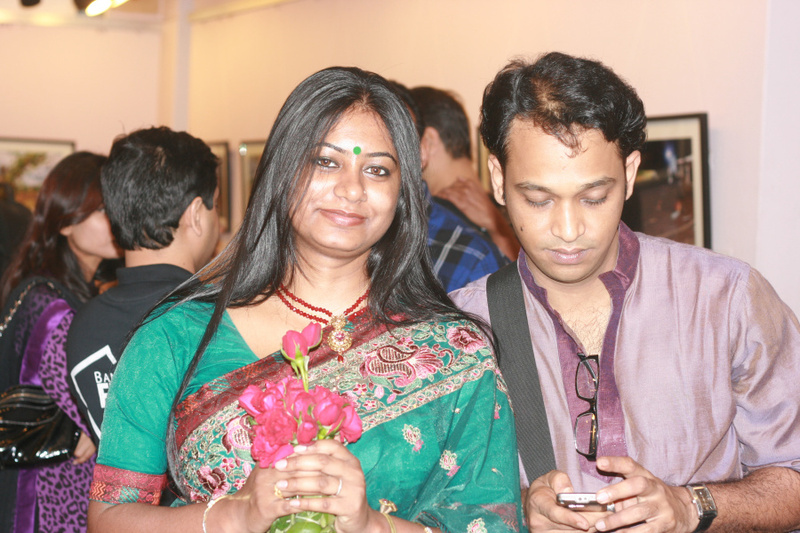 This is Sadia Rahman a fellow TTL photographer who also attended Kamal’s wedding reception. Sadia Dressed Up for the Wedding Reception! 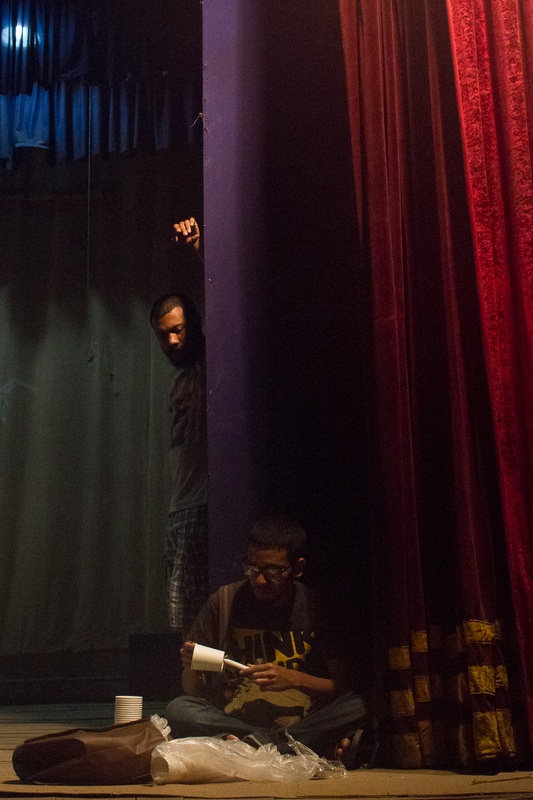 TTLER ADDA AT THE DHANMONDI RABINDRA SHOROBOR. I found this definition for an adda: A common place where close friends hangout. Its usually close to the college they attend and generally convenient for the rest of the boys to get there. 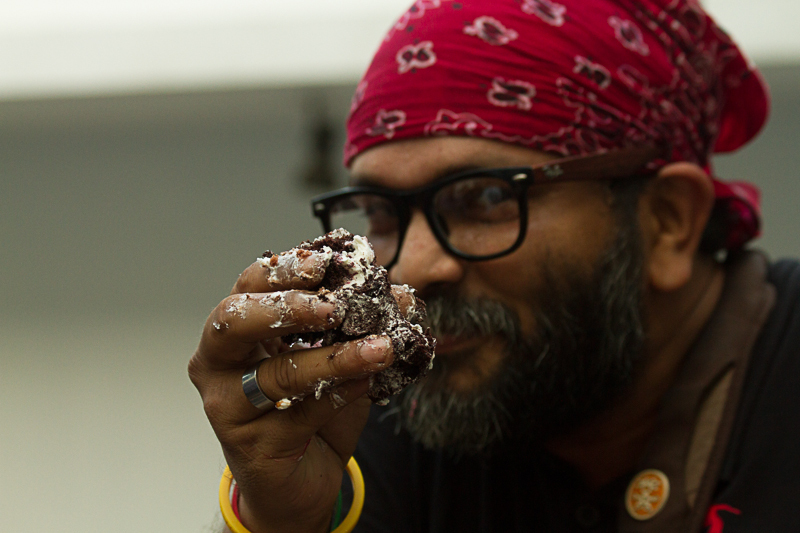 Its usually a bakery, Coffee day, restaurant or small shops run by frustrated people or nice people. 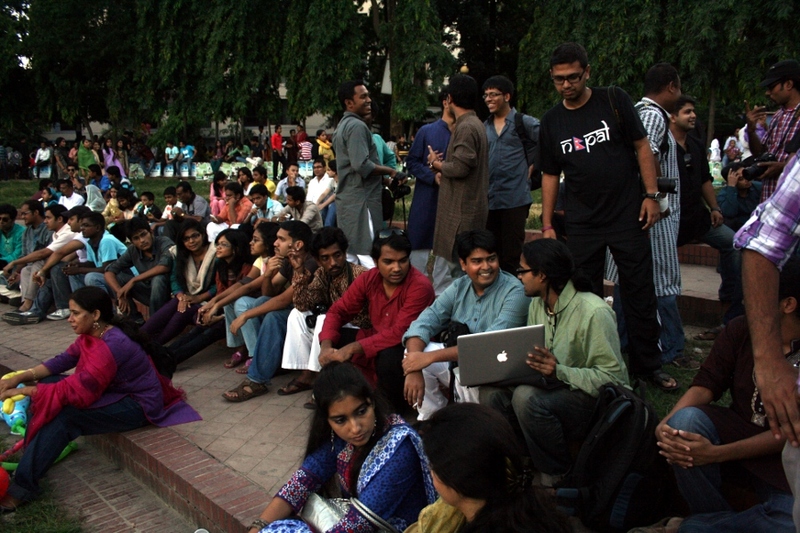 For this adda we just hung around the outside ampitheater and chatted, ate chanachur and drank ginger tea. We sometimes have photo addas where we critique each others photos. 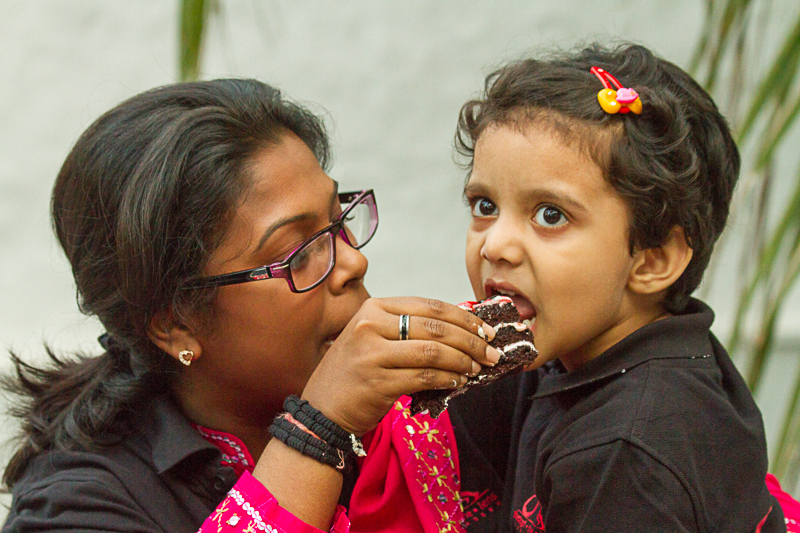 THIS IS TAJIA (Salma Sultana Tajia). She is marrying Arif (Ariful H Bhuiyan) and I will be attending their wedding reception tomorrow. 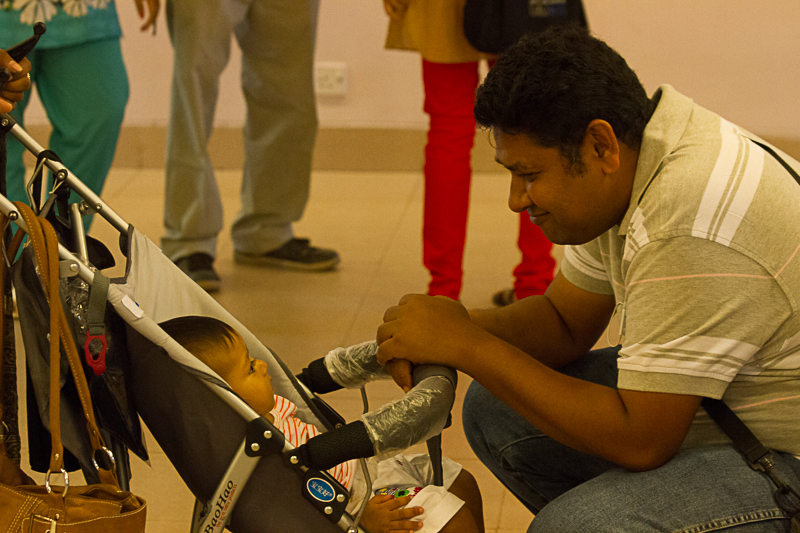 They are both photographers with TTL (Bangladesh Through the Lens) photo club. 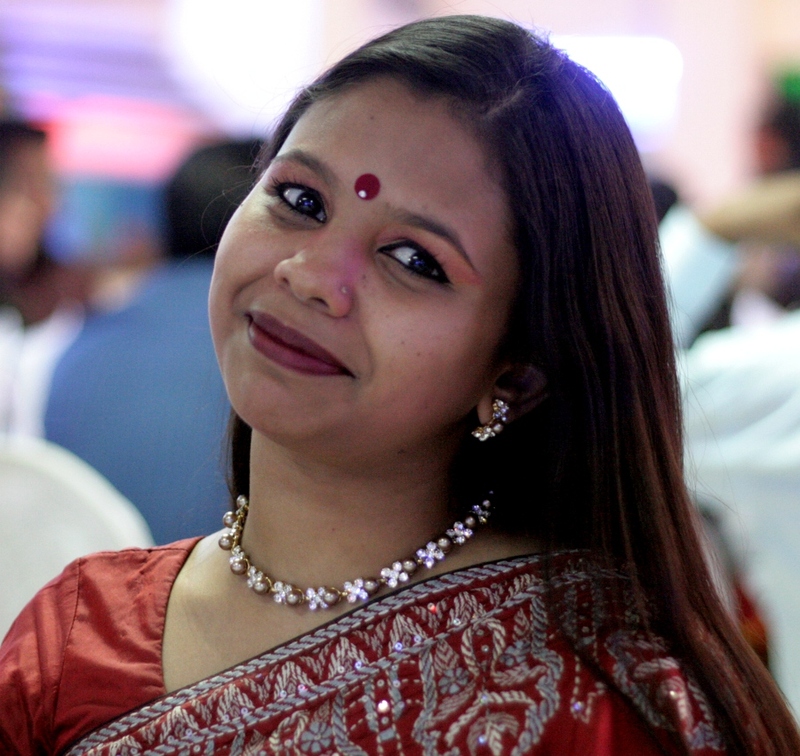 This was taken at Shudipto’s (another TTLer) wedding reception last Sunday! HAPPY MOTHER’S DAY TO MY MOTHER and all the other great Mother’s who check out this site! Tonight I attended a wedding of Shudipto, a TTL club photographer. He had invited all the TTLr’s from Dhaka to his wedding reception. 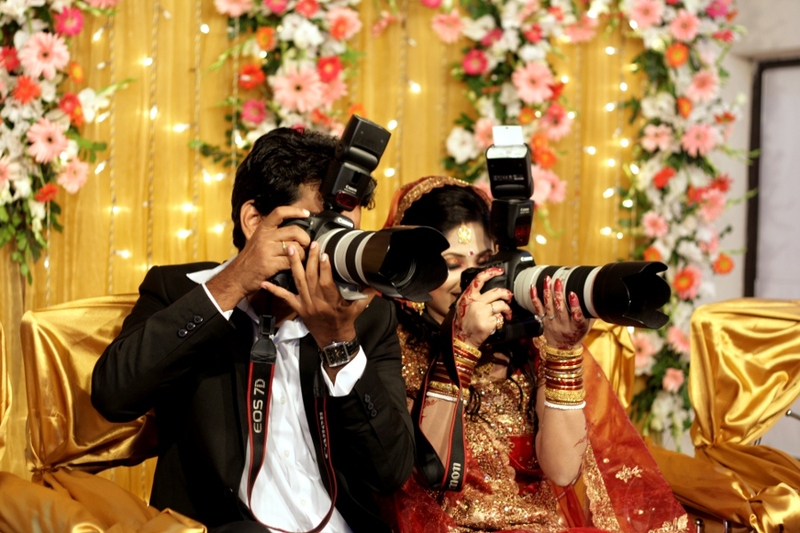 Of course then you would see action like this wouldn’t you, with both the bride and groom behind the lens? 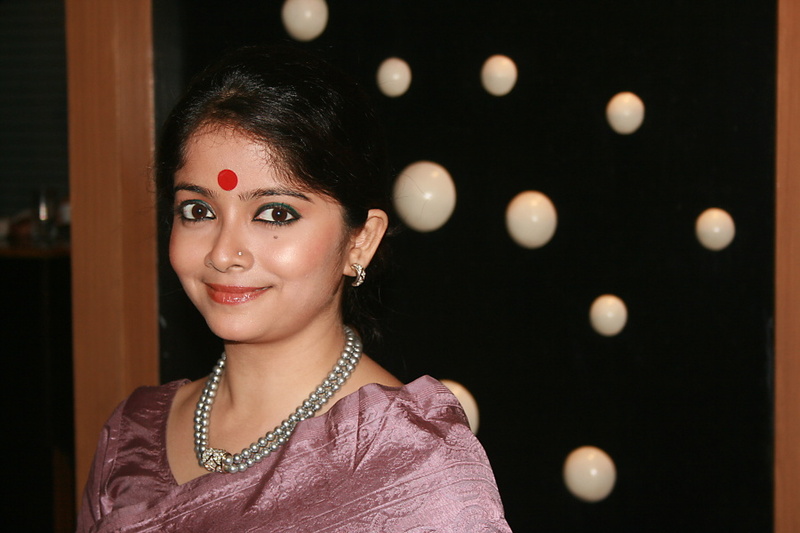 It was a fun evening with great Bengali food! All the typical wedding food including curried chicken, fish and beef. They also served my favorite drink, borhani! TEA ESTATE WORKERS NEAR MOULOVIBAZAR checking out photo that the TTLer took of them. TTLer (member of the “Through the Lens” photo club). 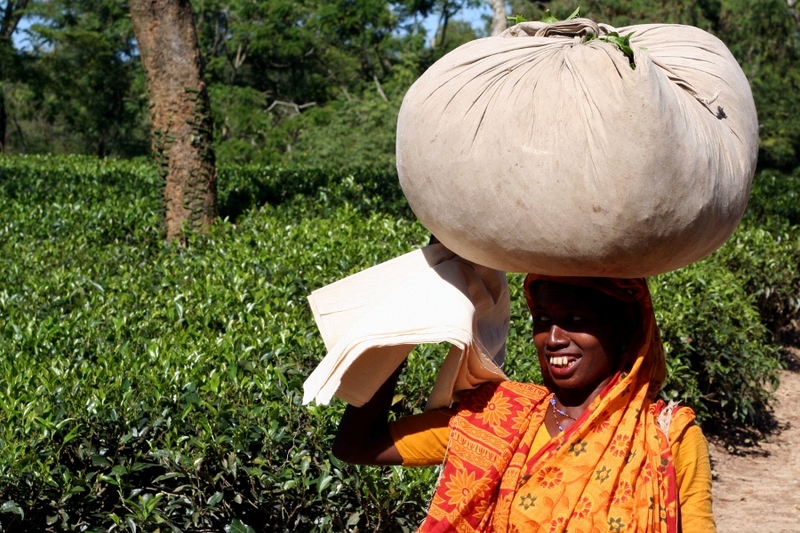 BENGALI WORKER IN TEA GARDEN near Moulovibazar in Northeastern Bangladesh. These workers are paid per kg of tea leaves they pick.